Our new series Inspired By looks at intriguing thought processes and awe-inspiring works of art that inspire, amuse, and encourage us. In his iconic work “A Line Made By Walking”, Richard Long sought to explore the act of walking and its effects on the land it was practised upon. While walking to and fro, he marked the ground with a line, imprinting it onto the grass yet still opening it up to the ravages of time. This dichotomy is what defines Land Art – and what we think of when thinking of our fine fragrance candle Moon Set. 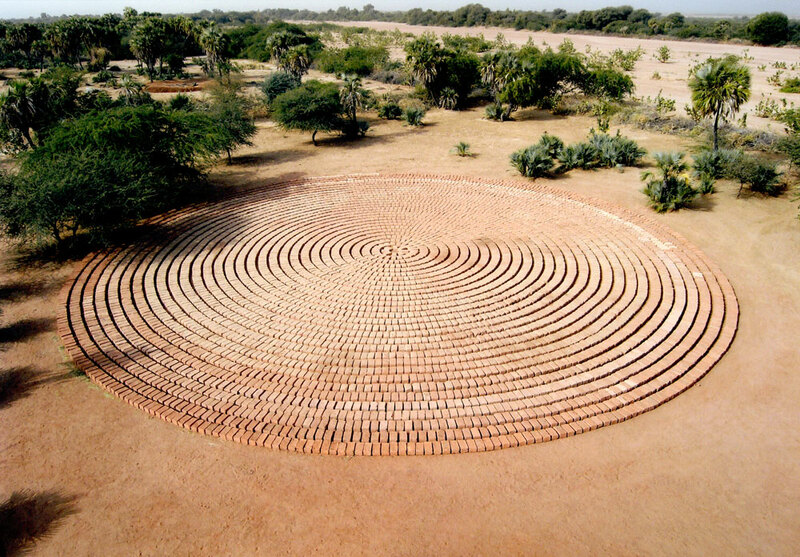 Land Art first gained popularity in the 1960s and 1970s as a response to ecological erosion. To make something beautiful on land, that may or may not exist a few years down the line, yet may affect the space around it… this act has a quality of contemplation to it. The meditative Moon Set has been crafted for quieter moments, which is why we are so moved by Land Art. Here are a few of our favourite artworks, for your viewing pleasure. 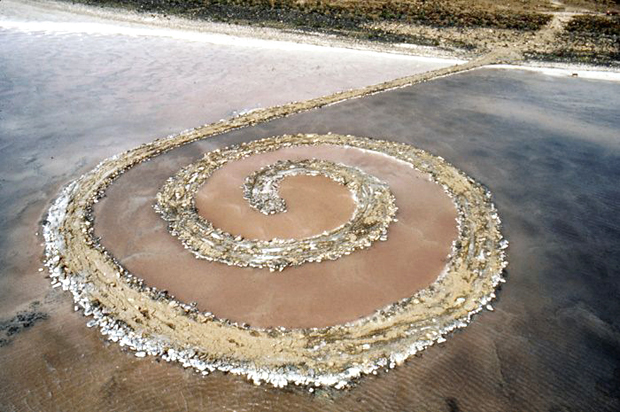 Robert Smithson’s Spiral Jetty is one of the most well-recognized pieces of Land Art. Built from mud, salt crystals, basalt rocks, earth and water, it was transported to the northeastern part of the Great Salt Lake. At that time, the water level was uncharacteristically low. A few years later, the levels rose and the structure was submerged until 1999 when it emerged once again, changed by its time under the water. 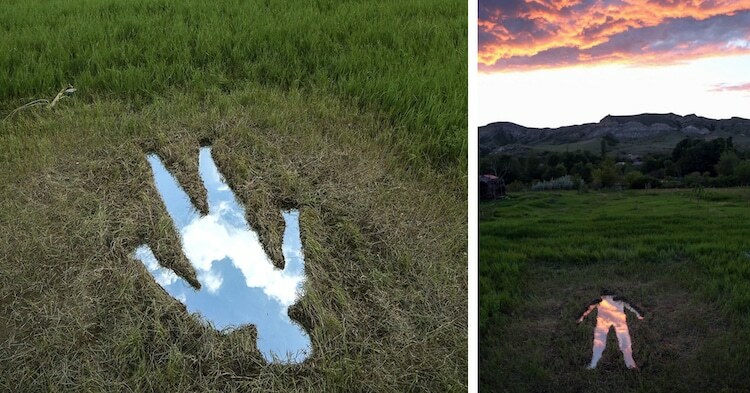 Icy and Sot, street artists, turned to nature for their project Nature’s Reflection. 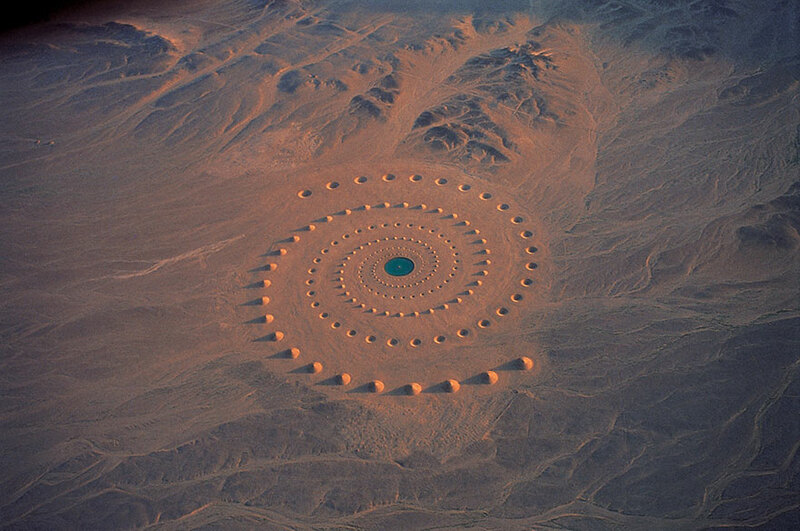 The Sahara desert became a canvas for D.A.S.T Arteam who created this piece of epic proportions in the 1990s. Meant to be enjoyed as an aerial view as well as walked through, it’s all about the interaction one has with one’s surroundings.